Hot dogs are quintessential BBQ and camp favorites – easy and convenient, tasty and filling. But we stepped the fun up a notch at our latest beach camping adventure with a recipe culled from a most excellent camping prep book called Camp Out! The Ultimate Kid’s Guide by Lynn Brunelle. 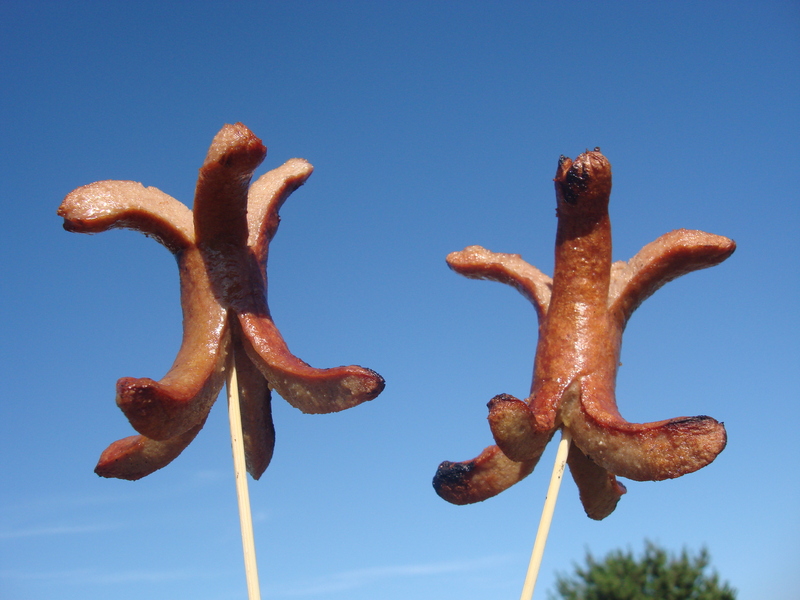 Called Spider Dogs by Brunelle (and Octo-Dogs by us when we are making them at the beach) they are skewered hot dogs skewered, sliced and cooked so that they become eight-legged spiders (or in our recent case of camping: octopii). Your kids will really dig them, you will raise your cool quotient and they are still as easy as throwing a few dogs on the grill. You’ll want a hot grill going for this. Stick a skewer halfway through each hot dog lengthwise. Carefully cut the free half into quarters, lengthwise. 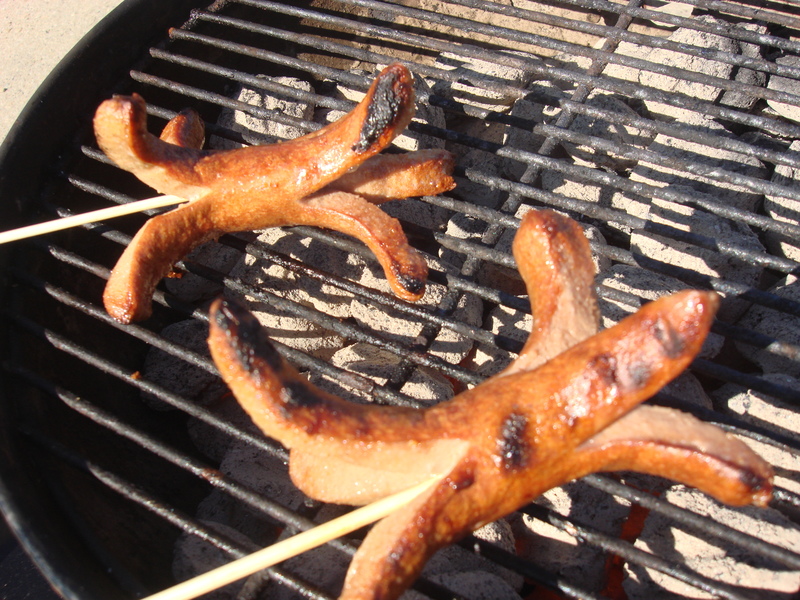 Lay the sliced ends of the hot dogs on the grill. The slices will curl back away from each other as they cook. When the sliced end is cooked and curled, carefully remove the dogs from their skewers, skewer through the cooked end and slice uncooked half into quarters lengthwise. Lay the uncooked ends of the dogs on the grill and cook until they are also curled back and you have a spider (or octo-) dog! ← Best Book for Maximizing the Farmer’s Market/CSA Experience! Share away! The more the merrier, thanks! What a fabulous idea! Can’t wait to try it. I know my kids are going to love it! Thanks Emily…I think they look a bit like a beefy fleur-de-lis in the sky there! The pictures made me laugh! So cute.